Rotary Newton Welcomes TWO New Members! We are delighted to welcome into membership Joseph Nkuruziza and Rae Mintz. Both are returning Rotarians, and we're delighted that they chose the Rotary Club of Newton to renew their relationship with Rotary. Joseph comes to us from the Rotary Club of Kigali in Rwanda, and Rae comes from the Rotary Club of West Roxbury & Roslindale. Please welcome them back into the Rotary family! 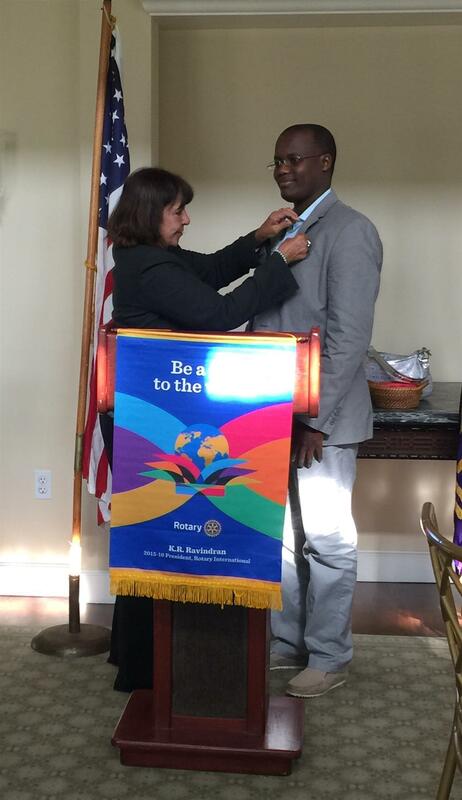 President Indira Desai giving Joseph his Rotary pin. Rae giving her classification speech.